air chilled. $5.49 kg.Pc Greenhouse Strawberries or Large Seedless Watermelon $3.99 Sale Price Pc greenhouse strawberries product of Ontario, Canada no. 1 grade 340 g or large seedless watermelon product of U.S.A., each.Fresh Atlantic Salmon Fillets $8.99 lb Sale Price $3.00 Savings Skin-on $19.82 kg. Fresh seafood items subject to availability. Pc or Blue Menu Thin & Crispy Pizza or Flatbreads $3.99 Regular Price $2.99 Sale Price Pc or blue menu thin & crispy pizza 335 - 397 g or flatbreads 340 - 395 g selected varieties frozen. Limit 12. 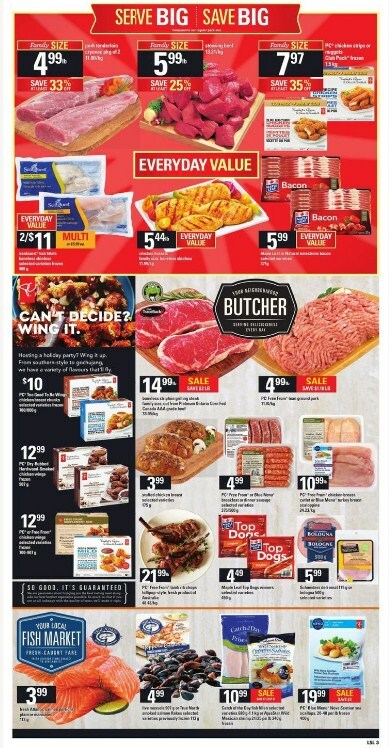 Schneiders Bacon, Fully Cooked Breakfast Sausage or Maple Leaf Ready Crisp Bacon $3.99 Sale Price $2.00 Savings Selected varieties. 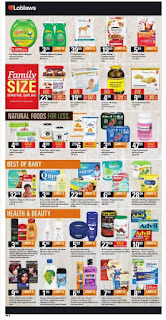 65 - 375 g.Coca-Cola, Canada Dry or Pepsi Soft Drinks $4.99 Regular Price $3.69 Sale Price Selected varieties. 12x355 ml. Limit 12. 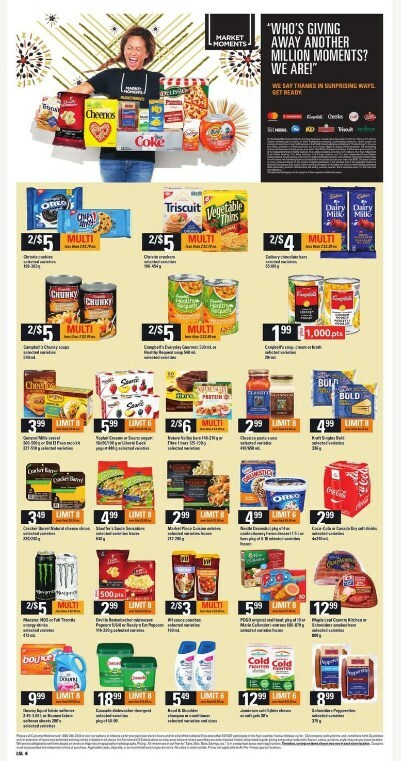 Pc Maxwell House or Nabob Tassimo, Van Houtte, Timothy's Folgers, Eight O'Clock, Donut Shop K-Cups, Maxwell House, Nabob, Marley Pods or LavAzza Roast and Ground $8.99 Regular Price $5.99 . 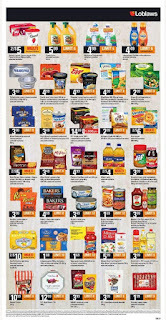 Sale Price Pc maxwell house or nabob tassimo, van houtte, timothy's folgers, eight o'clock, donut shop k-cups, maxwell house, nabob, marley pods pkg of 6 - 14 or lavazza roast and ground 340 g. Selected varieties. Limit 8. 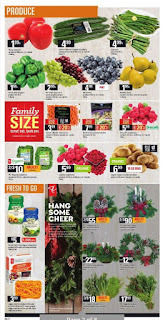 Habitant Condensed Soup or Green Giant Vegetables $1.59 Regular Price $0.99 Sale Price Habitant condensed soup 796 ml or green giant vegetables 341 398 ml. Selected varieties. Limit 12. 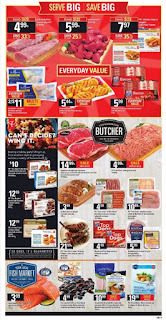 Maple Leaf Prime Chicken Wings, Breaded Chicken Strips, Nuggets, Bites or Burgers or Swiss Chalet Pot Pie $7.99 Sale Price Maple leaf prime chicken wings, breaded chicken strips, nuggets, bites or burgers 750 - 800 g or swiss chalet pot pie 470 - 655 g. Selected varieties frozen. 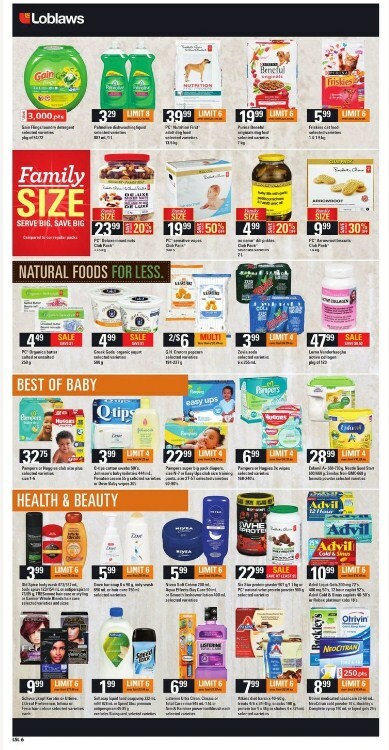 Colavita Premium Extra Virgin Olive Oil $7.99 Sale Price $7.00 Savings 1 L.
Barilla Pasta, Hunt's Tomato Sauce or Paste $1.99 Regular Price $0.88 Sale Price Barilla pasta 340 - 454 g, hunt's tomato sauce 680 ml or paste 369 - 398 ml. Selected varieties. Limit 12. 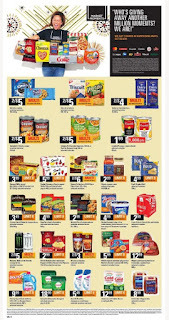 Farmer's Market Lemon Meringue Loblaws Flyer Pie $5.99 Sale Price Plus 1,000 pts. 1 kg. 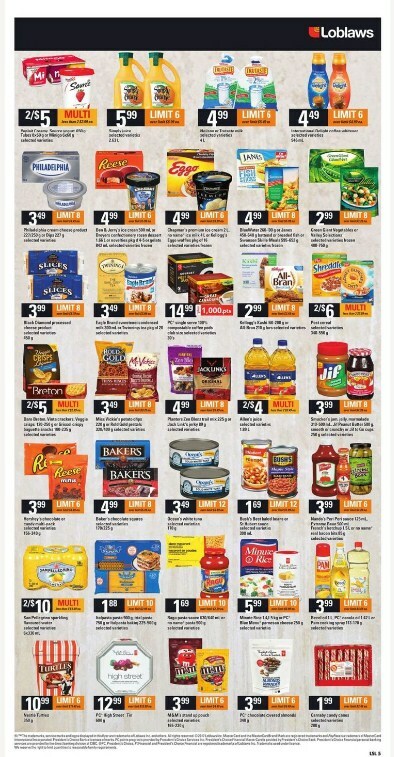 Wonder Bread or Buns $2.99 Regular Price 2 $5.00 Sale Price Wonder bread 675 or buns 8's selected varieties.Roma Tomatoes $1.99 lb Sale Price Product of Mexico. No 1 grade. $4.39 kg. Farmer's Market English Cucumbers $4.99 Sale Price Product of Canada or Mexico, no. 1 grade. Pkg of 3.Asparagus $4.99 lb Sale Price Product of Peru. $11.00 kg.